Om means one power which saves us from every risk. There are lots of risk in this life. When we speak om, we get protection from all these risks. There are main three risk of life. One is risk from physical things. For example someone has killed other through gun. Second risk is natural. For example, happening of flood and 35 people dead in this flood. Third risk is internal. No natural mis-happening, no mis-happening from someone, just your internal disease created and your life came in the risk of death. So, we can get freedom from all these risks if we speak om all the times. 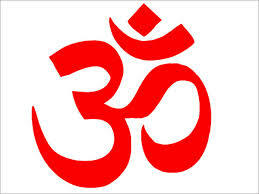 God's real name is om which helps us in every problem. It is our default that we forget him. He is superman he can do everything but he works on the basis of rules and regulations. When we speak om all the time, we can save from doing bad work. Our act will become welfare of other. In big spiritual books, you have read that at the end time what will our desire, we will get after death. If our concentration will be in the money, we will become snake. If we will have the sexual desire at the time of death, we will become dog in next birth. If we are praying the God at the time of death, we will get freedom from this and next all birth. Is it possible that we will pray of god at the time of death. Yes, it is possible, if we have big practice of praying god in our life. It is simple saying, practice makes man perfect. But if our practice is of praying God, it is good chance that we will pray of God at the time of death. Om is very small word with this, we can easily start our practice of praying God. No Comment to " Om Meaning "